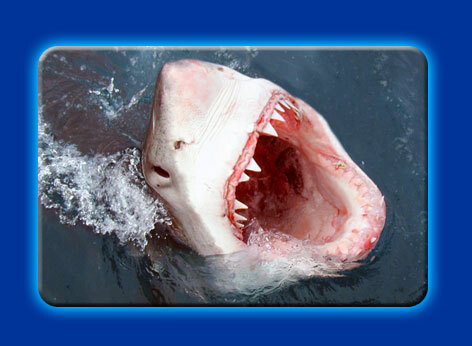 Killer whales and large sharks, like Great White Sharks and Seven-Gilled Sharks, will eat seals. These predators are only present in low numbers though and they mainly eat large fish, so not many seals actually get eaten by these predators. Usually it is the slower seals including young, old and injured seals that are eaten by large predators, but even a healthy seal can be bitten by a large predator. Seals are very manoeuvrable swimmers, so they can avoid a predator if they know it is there. 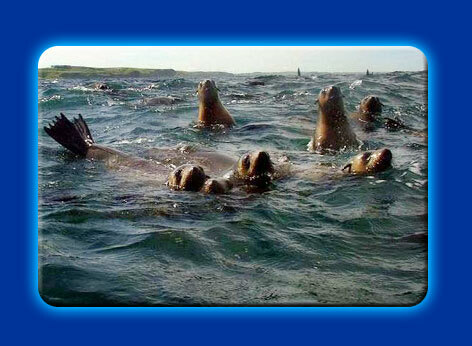 The predators must rely on ambushing the seals (catching them by surprise). Sealers (Humans) were influential predators before 1880. Today, seals are vulnerable to disturbance when they are ashore. If disturbed on land seals will stampede into the water, and small seals may get injured in the stampede. Humans need to be particularly careful not to disturb seals at seal colonies during November to December, when pups are small.